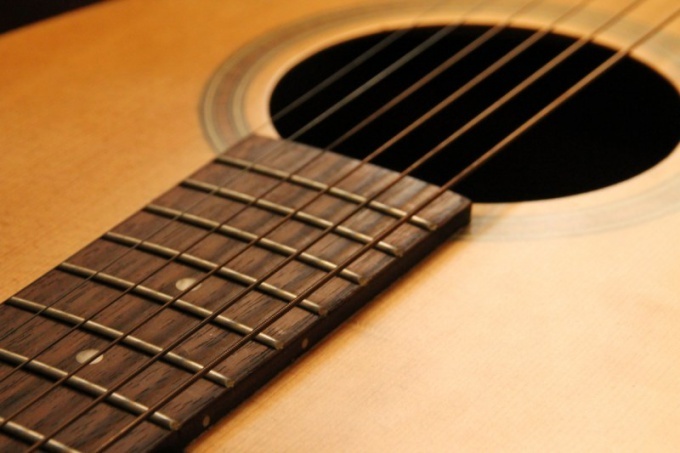 Guitar is one of the most popular musical instruments. Every day many people make a decision to finally learn how to play guitar and go to music stores. But not all of them know how to choose a guitar and what to look for in the first place. The guitar pick is, oddly enough, to start with strings. There are two fundamentally different type of strings: nylon and steel. It is believed that metal strings have a clear and bright sound, but to learn to play them much more difficult, as the guitarist takes a lot of effort to clamp. In addition, no corns on your fingertips, clamping the strings will initially be quite painful. At the same time, the nylon strings are only a little fainter and gentler, so many aspiring musicians choose them. Note that you can not put metal strings on a guitar designed for nylon. The fact that the tension of metal strings is much stronger and is not intended for them guitar can warp. If, however, put nylon strings on a guitar designed for metal, any sound quality to extract is unlikely to succeed: too much of a difference in tension. Having defined the strings, you can move on to choosing a directly guitar. Keep in mind that it is better to buy a good tool than to learn to play the cheap guitars of poor quality. Besides, a good guitar can be found in almost any price segment. When choice should not be guided solely by the appearance and even more so to order his first guitar over the Internet. Much better to come to the music store, to hold the tool in hand, to appreciate the sound. The sign of a quality guitar is the solid top deck (the front surface of the housing with the resonator hole). These guitars sound more clean than those in which the upper deck is made of plywood. In addition, it reduces the likelihood of deformation of the tool under the influence of moisture. Carefully examine the body and the neck of the guitar: there should be no scratches, physical damage, chips and, of course, cracks. In addition, the surface of the fingerboard should be smooth. To check this setting, hold down any string on the first and last frets: it is the distance from the strings to all frets should be the same. In any case, if you choose your first tool, it is better to take the help of someone more experienced in music friends. But do not forget that you're buying a guitar for myself, so the last word must still be for you. Learn to play the instrument, which does not like you personally, much less enjoyable and interesting than "your" guitar.